Make courses free for members or students of certain courses or even for guests! 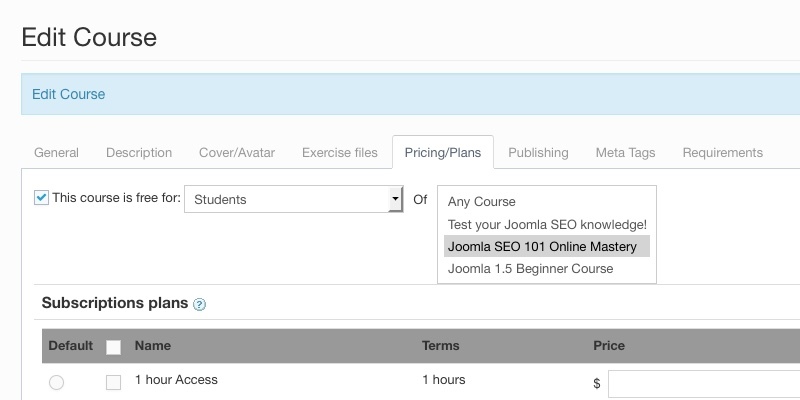 Now you can add free courses on your Joomla Learning Management System! 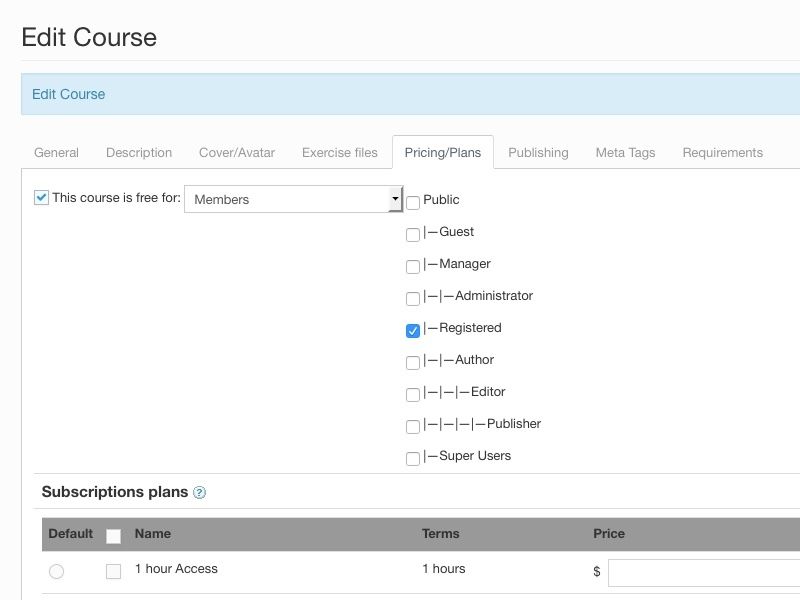 Open the course to access editing options. Switch to the pricing/plans tab. Check the box next to “ This course is free for ” . Choose who gets the course for free. Remember that all the lessons in a free course will be available free of charge, regardless of the permission level of each lesson. To access free courses for guests, guests can simply click through to view the lessons. 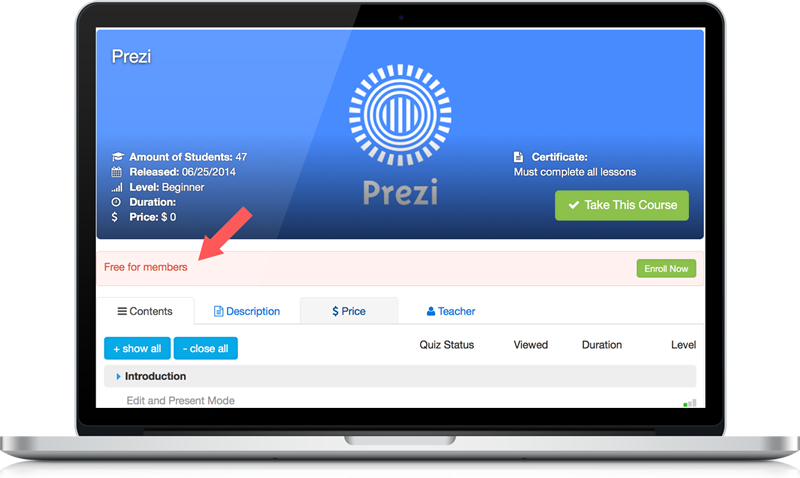 For courses restricted to members and students, users will need to enroll first. The course will then be added to their “my course” page. The enrollment feature is important for the future development of Guru when we will allow you to track students' progress.